Another one of our favorite naturals does it again with her gorgeous hair. The Side Swooped Hair! 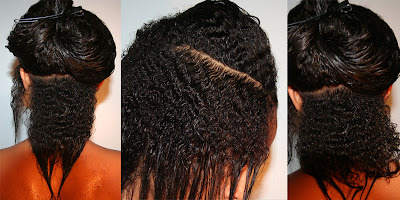 This is meant for longer haired naturals, and I cannot wait for the day to be able to do this style. I love it! her hair is so lovely....she and brie although im sure brie has a relaxer cause she does the garnier fructis commericials.